As the school year winds down, and students start talking about summer plans, it’s fun to place summer writing paper out in the classroom writing center. Our students live near the ocean, so writing about going to the beach during the summer is at the top of their list. They also like writing about family trips and vacations, camps, and activities. 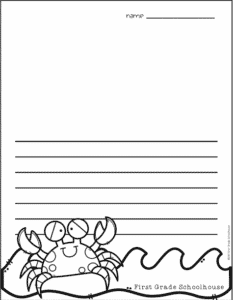 The packet of lined paper includes paper with lines and graphics and also papers that have a place for children to illustrate their writing. Copy the papers on bright, summer colors for some added interest. 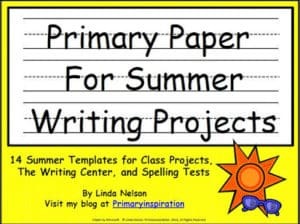 Place them at a thematic summer writing center. 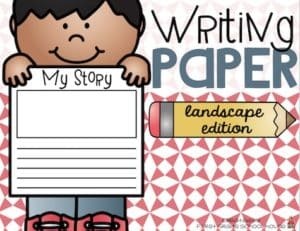 Your students will love the opportunity to write using the variety of papers!